We are pleased to present the approved the 2018-19 school year calendar. 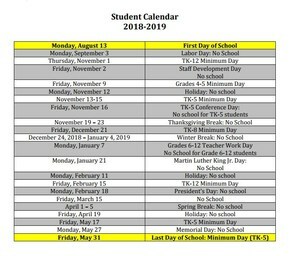 The 2018-2019 calendar follows a similar schedule to the calendar adopted for 2017-18, with the first semester concluding prior to winter break. Classes for the 2018-29 school year will begin on Monday, Aug. 13, 2018, and conclude on Friday, May 30, 2019. We are grateful to our teacher and classified school employee associations for their collaboration and partnership in moving this calendar forward. 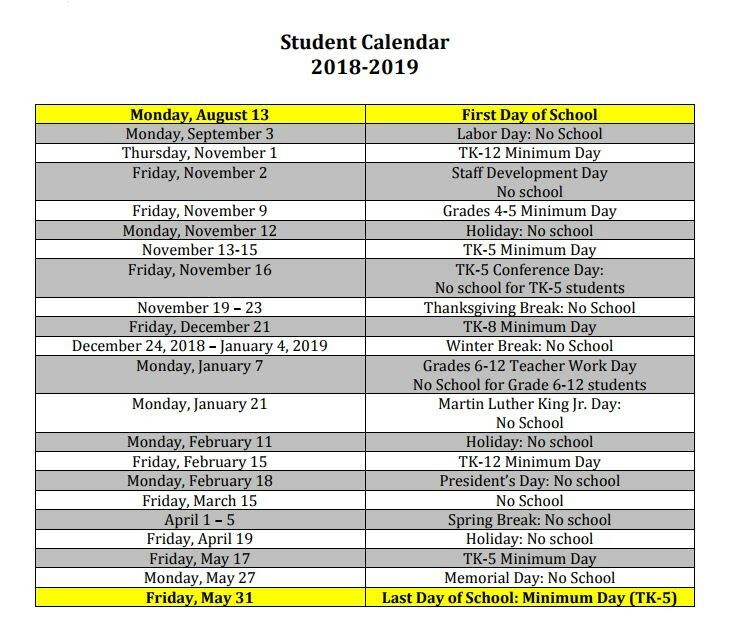 The final version of the 2018-19 instructional and student calendars are attached and also posted on the District web site. Thank you for your patience and continued partnership!